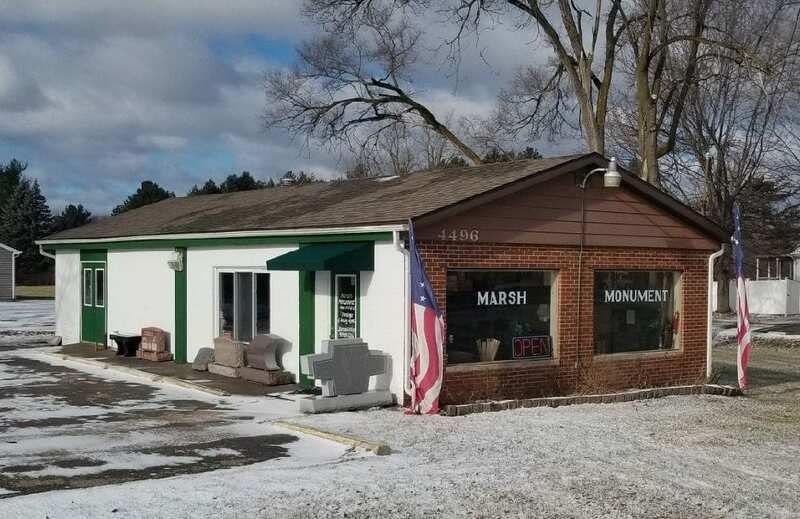 For over 80 years, Marsh Monument Co. has been crafting memorials and gravestones in Michigan. With two locations in Michigan, Marsh Monument Co. is the premiere cemetery monument crafters for your family’s needs. We are a full-service memorial dealer and we complete everything at our Durand location. We have over 80 years of experience in etching, designing and lettering memorial monuments, headstones, and other cemetery markers and we will deliver to any cemetery in Michigan.